April 25, 2014 · by Zack Reyes · Post may contain affiliate links. See my disclosure policy here. Finding Huggies coupons 2014 style is a little different than it was a few years back. 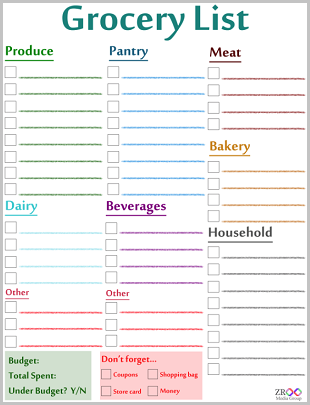 Because of the coupon craze helped along by shows like Extreme Couponing, coupons are more abundant than ever. There is ever-growing pressure on companies to produce coupons. The Huggies coupons 2014 hunt is much different, and will continue to evolve. Keep your eyes open for Huggies coupons basically everywhere. Click here to see more info about Huggies coupons. In 2014, we've seen Huggies coupons produced by Target in the form of text coupons. You'll have to go here and sign up for text alerts to get these Target coupons including occasional Huggies coupons 2014. 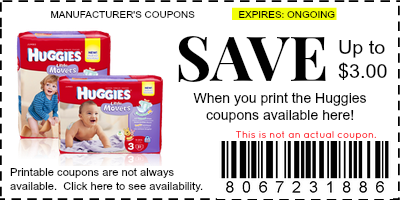 To see if there are currently Huggies coupons available to print in this, the yer 2014, click this link. You may also find Huggies coupon offers from companies like Ibotta, who give you a little bit of money back for purchasing certain items. Occasionally, you might find a Huggies offer there. Like any other coupon, when you find a good one, be sure to print it right away, as we never know how long they will be available to print. Once you have it, if a great sale comes up, you'll have your coupon printed and will be ready to save maximum dollar! There's no worse feeling in the coupon world than seeing a deal pop up and knowing that you missed an opportunity to print the coupon that goes with that deal. As we move through 2014, we might even see MORE avenues to find Huggies coupons, but for now, embrace the mobile and text coupons and keep your eyes out for more ways to save beyond just the Huggies coupon 2014 offers that you find. The value of Huggies coupons seems to have dropped a little bit. This may also be due to the Extreme Couponing show and the glorification of the misuse of coupons. Companies are more tentative to put out really good coupons in fear that they will be misused. A typical Huggies coupon in 2014 will be $1.50 off of a standard size pack of diapers or $0.50 off a pack of wipes. This isn't a ton of savings, but when you combine that with a store sale, you can really save a lot. Drugstores like CVS and Rite Aid are some of the best spots to get Huggies diapers because they put them on their Buy $25 get $5 (or similar) promotions a lot. You can use manufacturer coupons on top of these promotions and save quite a bit. Where are you seeing Huggies coupons in 2014? Como puedo hacer para recibirlos por coreo?